Rent motor home, travel trailer, 5th wheel trailer, or pop-up camper. NO sales on barter. Up to a week basic rental on barter. 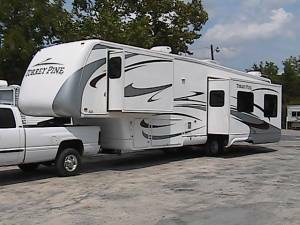 Mileage charge on motor home is cash. Insurance (if needed), options, and tax are cash.